It’s back! We’ve brought back the Blackridge Red – although we will admit that it’s had some work done. Instead of a Catawba based blush style – this new sweet red wine is Chambourcin based, and it’s been a huge hit here at the Winery! A sweet red wine with jammy aromas of blueberry and strawberry. A light and smooth red wine, this is perfect for sipping on the patio – or for making an amazing sangria! 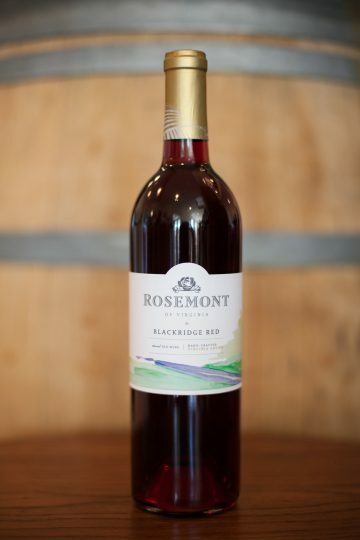 Our signature red blend with aromas of blackberries, cherries and dark chocolate. Well balanced with velvety, lingering tannins, this is a wine to hold onto for years to come.